The Brihadaranyaka Upanishad (Sanskrit: बृहदारण्यक उपनिषद्, Bṛhadāraṇyakopaniṣat) is one of the Principal Upanishads and one of the oldest Upanishadic scriptures of Hinduism. 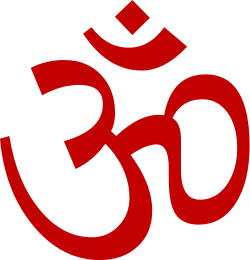 A key scripture to various schools of Hinduism, the Brihadaranyaka Upanisad is tenth in the Muktikā or "canon of 108 Upanishads". The Brihadaranyaka Upanishad was in all likelihood composed in the earlier part of 1st millennium BCE. The exact year, and even the century of the Upanishad composition is unknown. Scholars have offered different estimates ranging from 900 BCE to 600 BCE, all preceding Buddhism. According to a 1998 review by Olivelle, Brihadaranyaka is one of the oldest Upanishads, along with Jaiminiya Upanishad and Chandogya Upanishads. It was composed around 700 BCE, give or take a century or so, but it is likely that the text was a living document and some verses were edited over a period of time before the 6th century BCE. 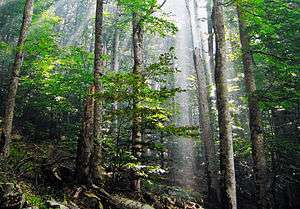 The title Brihadaranyaka Upanishad literally means "great wilderness or forest Upaniṣhad". It is credited to ancient sage Yajnavalkya, but likely refined by a number of ancient Vedic scholars. The Upanishad forms the last part, that is the fourteenth khanda of Satapatha Brahmana. It includes three sections: Madhu Kanda (the 4th and 5th chapter of the fourteenth khanda of Satapatha Brahmana), Muni Kanda (or Yajnavalkya Kanda, the 6th and 7th chapter of 14th khanda of Satapatha Brahmana) and Khila Kanda (the 8th and 9th chapter of the fourteenth khanda of Satapatha Brahmana). Thus, the Brihadaranyaka Upanishad has six adhyayas (chapters) in total. There are two major recensions for the text - the Madhyandina and the Kanva recensions. The first and second chapters of the Upanishad's Madhu Kanda consists of six brahmanams each, with varying number of hymns per brahmanam. The first chapter of the Upanishad's Yajnavalkya Kanda consists of nine brahmanams, while the second has six brahmanams. The Khila Kanda of the Upanishad has fifteen brahmanams in its first chapter, and five brahmanams in the second chapter. 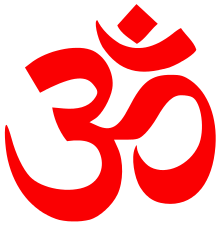 Brahmana 4, in the first chapter, announces the Upanishad's non-dual, monistic metaphysical premise that Atman and Brahman are identical Oneness, with the assertion that because the universe came out of nothingness when the only principle existent was "I am he", the universe after it came into existence continues as Aham brahma asmi (I am Brahman). In the last brahmana of the first chapter, the Upanishad explains that the Atman (soul) inspires by being self-evident (name identity), through empowering forms, and through action (work of a living being). The Soul, states Brihadaranyaka, is the imperishable one that is invisible and concealed pervading all reality. The Brihadaranyaka Upanishad starts the second chapter as a conversation between Ajatashatru and Balaki Gargya on theory of dreams, positing that human beings see dreams entirely unto themselves because mind draws, in itself, the powers of sensory organs, which it releases in the waking state. It then asserts that this empirical fact about dreams suggests that human mind has the power to perceive the world as it is, as well as fabricate the world as it wants to perceive it. Mind is a means, prone to flaws. The struggle man faces, asserts Brihadaranyaka in brahmana 3, is in his attempt to realize the "true reality behind perceived reality". That is Atman-Brahman, inherently and blissfully existent, yet unknowable because it has no qualities, no characteristics, it is "neti, neti" (literally, "not that, not that"). The fourth brahmana of the third chapter asserts, "it is your soul which is inside all", all souls are one, immanent and transcendent. The fifth brahmana states that profound knowledge requires that one give up showing off one's eruditeness, then adopt childlike curiosity and simplicity, followed by becoming silent, meditating and observant (muni), thus beginning the journey towards profound knowledge, understanding the soul of things where there is freedom from frustration and sorrow. In the sixth and eighth brahmana of the third chapter in Brihad Aranyaka Upanishad is the dialogue between Gargi Vachaknavi – the female Vedic sage, and Yajñavalka, on the nature of universe. Max Muller and Paul Deussen, in their respective translations, describe the Upanishad's view of "Soul, Self" and "free, liberated state of existence" as, "[Self] is imperishable, for he cannot perish; he is unattached, for he does not attach himself; unfettered, he does not suffer, he does not fail. He is beyond good and evil, and neither what he has done, nor what he has omitted to do, affects him. (...) He therefore who knows it [reached self-realization], becomes quiet, subdued, satisfied, patient, and collected. He sees self in Self, sees all as Self. Evil does not overcome him, he overcomes all evil. Evil does not burn him, he burns all evil. Free from evil, free from spots, free from doubt, he became Atman-Brâhmana; this is the Brahma-world, O King, thus spoke Yagnavalkya." The last brahmanam of the Upanishad's second section is another Vamsa (generational line of teachers) with the names of 59 Vedic scholars who are credited to have taught the hymns of Muni Khanda from one generation to the next, before its became part of Brihadaranyaka. The Brihadaranyaka Upanishad includes hymns on virtues and ethics. In verse 5.2.3, for example, it recommends three virtues: self-restraint (दमः, Damah), charity (दानं, Daanam) and compassion for all life (दया, Daya). Learn three cardinal virtues - temperance, charity and compassion for all life. Krishnananda Saraswati The Brihadaranyaka Upanishad: English translation, and commentary, Published by Divine Life Society. ↑ Jones, Constance (2007). Encyclopedia of Hinduism. New York: Infobase Publishing. p. 93. ISBN 0816073368. ↑ Geoffrey Samuel (2008), The Origins of Yoga and Tantra, Cambridge University Press, ISBN 978-0521695343, page 8, Quote: such (yogic) practices developed in the same ascetic circles as the early śramaṇa movements (Buddhists, Jainas and Ajivikas), probably in around the sixth or fifth BCE. ↑ Chatterjea, Tara. Knowledge and Freedom in Indian Philosophy. Oxford: Lexington Books. p. 148. ↑ Swami Madhavananda. The Brhadaranyaka Upanisad with commentary of Sankaracarya. ↑ Bloom, Harold (2006). T.S. Eliot's The Waste Land. New York: Infobase Publishing. p. 58.